Dr. Marvin Herschfus has served our Berkley community for over 30 years. His determination is providing exceptional dental care in a comfortable and relaxing environment to anyone who walks into his office. Dr. Herschfus strives to foster that positive atmosphere by taking a personal interest with his patients and sharing life events as if they were his personal house guest. It is a special moment for him when his patients looks into the mirror and see their beautiful new smile! His love of dentistry and passion for cosmetic dentistry is a direct result of his parent’s influence; his father was a physician and mother an accomplished artist. 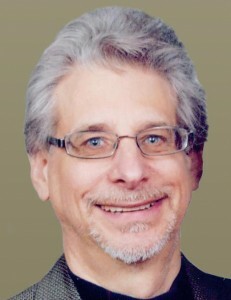 Dr. Marvin Herschfus graduated from Northeastern University in Boston, Massachusetts, receiving a Bachelor of Science with honors in biology, and his DDS dental degree from New York University College of Dentistry in 1982. In order to offer patients the latest techniques and technology, Dr. Herschfus attends many continuing education courses, often taking his entire dental team together. He has received the Fellowship Certification in soft tissue laser therapy, is certified in the Lumineers® porcelain veneer system, and is trained in the use of dental appliances to treat migraine headache and sleep apnea. Giving back to our community is very important to our dental practice, and Dr. Herschfus reaches out to the children at the Berkley public schools to talk about dental health and donates dental kits to children in Honduras. He received recognition from the Detroit Metro Riverfront Optimist Club for his volunteer work in their health fair. Dr. Herschfus is married to Leslee and they have a daughter Reena. He enjoys gardening, biking, swimming and attending his daughter’s soccer games. Thank you for visiting my website and I hope you enjoy the rest of the tour.